We often do not create any Pipe Networks to represent the existing utility mains in a project. There is usually limited information on the correct depth of the utilities, even with a utility spot. The best we can hope for is to draw the main in the plan view based on paint markings, and draw the crossings in our profile manually based on an approximate depth after a phone call to the respective agency. On a recent design, not knowing the depth of the existing utility mains was a problem. We have Force Main and Water Main running along and under a dirt road that will be paved. Everyone is concerned that vibratory packing will cause a problem. So they potholed the lines. Now I have 3D point locations along 2 mains. A pipe network would be best, so that it is easy to bring into my profile, and can be managed by styles. This presents a nuisance since the locations are on top of the pipes, and there are a lot of locations; that’s a lot of pipe edits. Here is what I came up with. Again, not rocket science, but I hope that it will help someone else. Style the points so that it is easy to discern them from others. Make the style respond to the elevations. move the polyline down the HALF (see below) the respective inner diameter plus one wall thickness. I used he move command. The reason for this is that the Create Pipe Network from Object will use the elevation of the 3D polyline for the CENTERLINE of the pipe. If you move the polyline down a full diameter, then the pipe will be created too low. I mean to tell you that is a lot of edits. Ok, at last, the end of the journey. We covered getting the model values out of an existing part. The remaining issue lies with what to do now that we have a mandatory context added to the structure type. Each time we create a new form of that structure type, that variable will be added to the Part XML file with all the other OEM required variables, such as "SHBTh". This would not be a problem except that we still cannot get our non-OEM variables forced into the part model parameters. I stated previously that David Neill gave me an idea. A simple switch that had not been useful previously. The problem was that I had just not returned to it after so many new ideas. Thanks David!! I guess collaboration works huh. It took a while. I had beaten this up over and over. I did not want to rerun it all. Through the frustration, I just kept thinking there is no way David is crazy. Eventually, I got the combination right. This article proceeds with the premise that everyone is familiar with part builder to some degree, and has an existing part that needs to be made variable. If not, I have a load of info already to use to catch up. I did say multi part. Don’t worry, there are only 2 parts. The first is what David ad I worked to beat, and the second is when that wasn’t good enough for me. 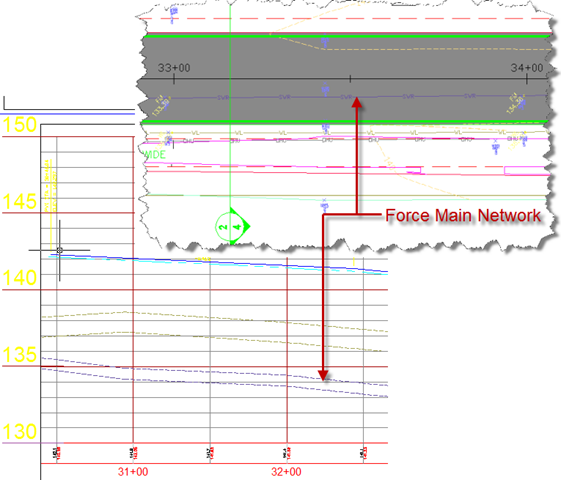 Part 1 – Getting our existing Parameters into structure that allows later adjustments. Part 2 – Getting the Catalog require parameters BACK INTO the model. I have rewritten this 3 times. Please forgive me if it is a bit shabby. It is all starting to run together now. We have been fighting an old issue of customizable parameters. We can make he basic parameters such a height, width, etc. 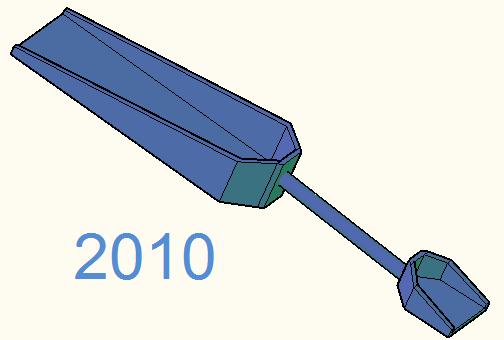 adjustable in the Civil 3D environment, but not specific feature parameters that we need. Say like the angle of a structure slope. After working so hard on a structure, who wants to be stuck with a limitation. David and I did get some ranges and lists to come through, but we couldn’t do it on a consistent basis…until now. I will go through and identify the major portions of this adjustment. As I do I will discuss the issues, and explain the edits. We will be changing things as we go. This is not a tutorial, but more of an explanation, and a few warnings that have not been made clear elsewhere. Well, I stepped in it this time. In an attempt to help all those that have been struggling with Part Builder, I pulled out my parts from the 2009 backups, and loaded it up. I needed the part for a design, and thought now was a good time to dig in and take care of what I agreed to. …Thanks BTW for all the patience you have offered. I whipped the Part List up and threw the new part size to it. Not sizes, just size. The list did not come through. Now many of you are saying “that is what we are screaming about”. Well, the list of ailments is broad and wide. I unfortunately could not get this configuration to fail in 2009. It however does fail in 2010. After hours of reading and plugging, I got it working. I did some huge research and customization and I may have 30% of our woes worked around, and I think it will work on both versions. While working, it is not yet seamless. I will need to back through it all to be sure, and that will take a bit of time. Also, those of you that are on other structure types, I did not forget you either. I will port this over to those as soon as I can. Look forward to some results and modifications soon. Go ahead and post issues you have with the configurations here, and we can address then as we go. If you are having trouble with the tutorials specifically, then keep posting concerns as comments to those tutorial pages. Ok, Part Builder is not easy. Evan with a tutorial and a workflow, it’s still not easy. There is at least 1 person in the community that has had trouble with the series outcome. I need to know how everyone did. Good, Bad, and otherwise. Please offer us your comments. If there is a bug in the procedure, I need to get it fixed for everyone else. In the last session we created the Structures in the Civil 3D environment. In this session we will modify the configuration to add the slopes to a list, in order to change the structure to be consistent with the corridor side slope. Open up Wingwall Sloped in Part Builder. Since we have something that hopefully works, let’s save a new part. This way we have both. “If it aint broke, then don’t try and fix it”. Let’s try Wingwall Variable Slope. Pick the ‘Save As’ button on the toolbar. The ‘Save Part Family As…’ dialog will appear allowing us to change the Chapter, Part Name, and Part Description. 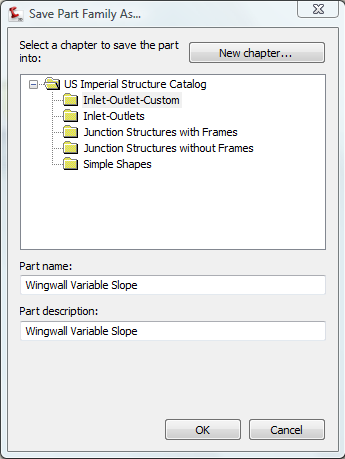 Leave the chapter as Inlet-Outlet-Custom, cut change the Name and Description to Wingwall Variable Slope. 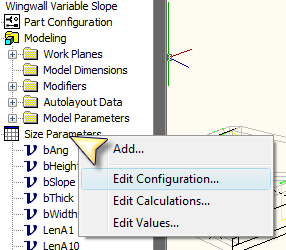 Right Click Size parameters and select Edit Configuration. You may remember the parameters that were handed down when we verified the structure a few sessions ago. These ‘handed down’ parameters are those that the application uses in it’s controls, and were assigned when we used the Part Configuration Undefined Bounding Shape. Without these, the structure cannot be modified. These parameters are SHBTh, SHBW, and SVPC, which are the Thickness, Base Width, and the Vertical Pipe Clearance respectively. We used the user parameters (like bThick) to buffer our equations from the application controls, and to make it easier to understand when reading the parameter list. When we go back to make changes, we can disconnect the application parameters, and toy with our user parameters, and then attach them when we are done. Now we have given something solid to these values, we can map these to the user parameters we created. this. 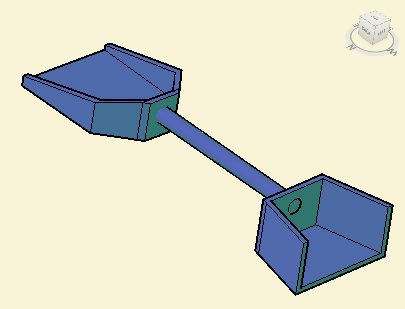 To simplify your model in some cases, we need the bounding shape to be a box.